Had a great trip north to visit some of the cousins and my Aunt Gayle yesterday and today. 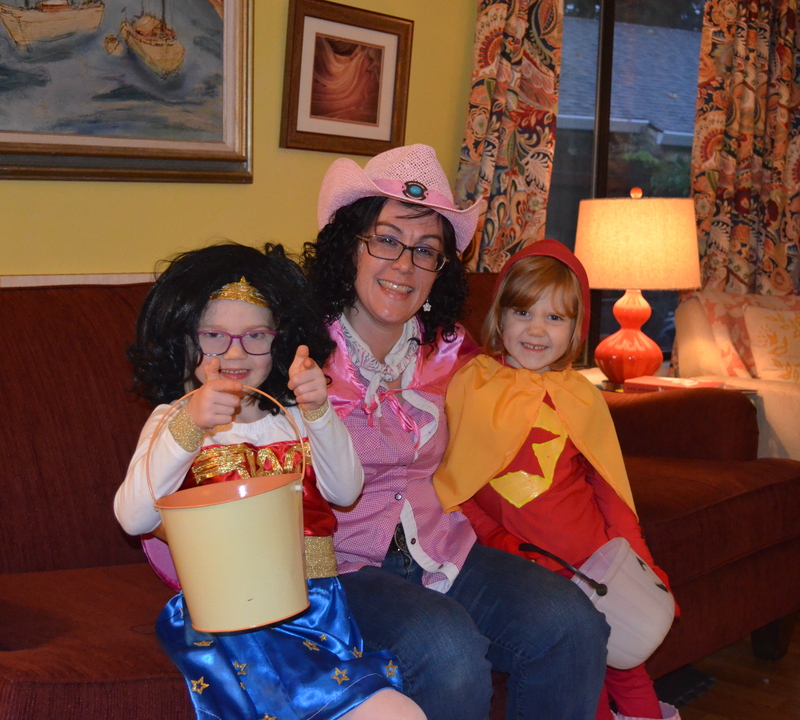 Had the pleasure of getting totally drenched in rainy Oregon with Wonder Woman and Word Girl last night trick or treating. It was good to be with family and enjoy the dress up/candy excitement of the little ones. These two still seem to be contemplating the fact that I am the same age as their father (still asking, are you a kid or an adolescent?). I am happy to know they sense my young heart.